However many times you’ve boarded a plane and watched the taxi and take-off out of the window, you’ve probably never given much – if any – thought to the surface of the runway under the plane’s wheels. I can’t say the same! My name is John Williams and I’m a DIO Project Delivery Manager working on overseas projects. 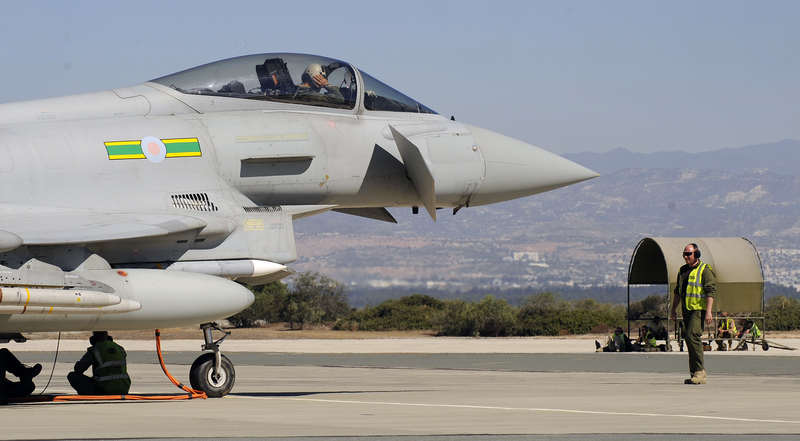 My current focus is leading the renovation of two runways, in Gibraltar and at RAF Akrotiri in Cyprus. 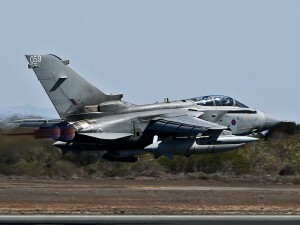 RAF Akrotiri is a busy base. 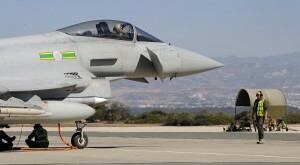 It is where the military personnel and supplies for British Forces Cyprus arrive and is in regular use as a base for exercises and operations in the Mediterranean and surrounding area. Its warm, reliable weather means it also often serves as a winter base for the Red Arrows while they select new team members and practice their displays. The work we’re undertaking in Cyprus is significant. It’s a £26m programme of works to refurbish the existing runway, which has reached the end of its usable life, as well as replacing the existing ground lighting with new LED technology. The benefits of this are that it will significantly reduce the running costs and will last longer, thus reducing maintenance costs. It’s not just the actual runway itself; we’re also replacing three dispersals, which are areas off the runway where aircraft can be ‘parked’, and widening the taxiways. 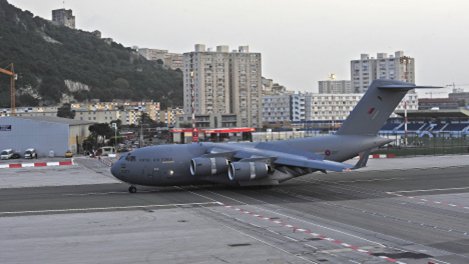 This is vital to ensure that Akrotiri can accommodate the RAF’s wide bodied Voyager aircraft. The contract for the work was awarded in May this year to a joint venture between Lagan Construction International and Iacovou Brothers, who are a local company. At the moment we’re halfway through the design stage and work is scheduled to commence on 12th October. If all goes to plan it should be completed in January 2017. 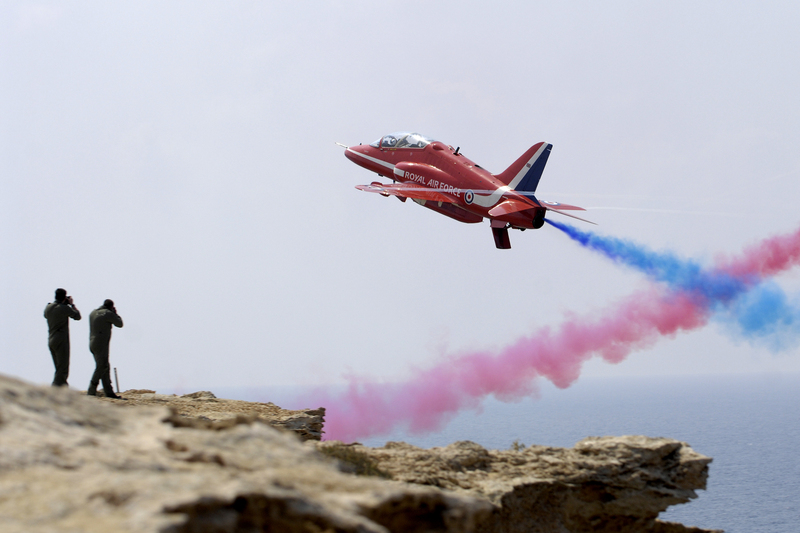 The reason it takes a while is because we can’t work all day – Akrotiri is an operational Royal Air Force base and they need to use it, so we can’t work all the time. Gibraltar is another challenge. The airfield there is run by the RAF as a military base, but is also used for civilian flights. Not only that, but there is only one road into Gibraltar – and it’s four lanes wide and crosses the runway! The runway crosses a major road! This obviously means there is a huge potential for disruption so we’ve been in close contact with the government of Gibraltar to discuss how to minimise this. We’ll be working only at night which means that the airfield remains open during the day for flights to continue as normally as possible. The runway, which is 6000 ft long and juts into the sea for a third of its length, was last resurfaced more than 20 years ago so a repair and upgrade is required. The contract, worth £7.9m, was awarded in May and again went to Lagan Construction. The design phase is completed and the work will begin this month. We anticipate it being completed as soon as January and it should last for another 20 years, safeguarding the future of both military and civilian flights to and from the Rock. The airfield hosts both military and civilian flights. Each of these projects has its own challenges but I’m confident that we’ll have two superb upgraded runways at the end of this work, which will be of great help to the Royal Air Force. What a beautiful picture of my Rock. I say that because I am Gibraltarian and work for DIO in UK. The runway is a unique part of Gibraltar's history and it will be great for it to be maintained and renewed. Good article John. Like you i've spent a lot of time looking at that runway in the past. Glad its finally underway. Good luck with it all. I'm a multi trade joiner and have worked on the mod contracts for over 12 years,both behind the wire on buildings on camp and outside on married quarters. My enquiry is about how I would find about who I would contact regarding the possibility of employment by the maintenance contractor on Raf Akrotiri.